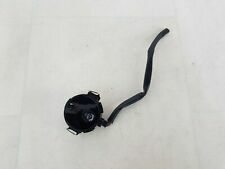 GENUINE NISSAN JUKE NISMO RS FRONT WINDSCREEN AUTO WIPER RAIN SENSOR MODULE. FITTED TO NISSAN JUKE NISMO RS MODEL YEARS. PART NUMBER - 0265019061. NISSAN QASHQAI 2015. REMOVED FROM A NISSAN QASHQAI 2015. WIPER/INDICATOR STALK STEERING ANGLE SENSOR. AB, BT, HS,JE,KA, KW, PA, IM, IV, ZE. We are Breaking a2008 Nissan Qashqai Acenta 2WD J10 (Pre-Facelift). Screws, nuts and bolts are also classed as a free gift if included. Right / Left Hand Drive. We have a lovely team of people who will always get back to you within 24 hours. Part number: 28536EB300. Wing Mirror Type. Screws, nuts and bolts are also classed as a free gift if included. Right / Left Hand Drive. Body Style. We have a lovely team of people who will always get back to you within 24 hours. Qashqai Acenta (MK1 Pre-Facelift (J10)) (ABS). Windscreen Rain Sensor. Manual 5 Speed. About MGV Auto Spares Ltd. Our Opening Hours are:-. Engine Size. CASH ON COLLECTION. Vehicle Photographs & Guide. Qashqai 2 Tekna DCI (MK1 Pre-Facelift (J10)) (ABS). Windscreen Rain Sensor. Manual 6 Speed. About MGV Auto Spares Ltd. Our Opening Hours are:-. Engine Size. CASH ON COLLECTION. Vehicle Photographs & Guide. Rain Sensor. Manual 6 Speed. About MGV Auto Spares Ltd. Our Opening Hours are:-. CASH ON COLLECTION. Vehicle Photographs & Guide. We are Breaking a 2017 Nissan Qashqai N-Vision Dig-t J11 MK2 (Facelift). Right / Left Hand Drive. We have a lovely team of people who will always get back to you within 24 hours. Paint Colour. Paint Code. OEM RAIN SENSOR. NISSAN LEAF. Engine by NISSAN. ASK FOR DETAILS. We are also not responsible for installation errors, labor expenses, or any other expenses that may occur. Wheel size. Paint code. Gearbox code. REMOVE FROM 2016 NISSAN LEAF ELECTRIC LOW MILEAGE VEHICLE ( 7 MILES ON CLOCK). VERY GOOD CONDITION LIKE NEW. REMOVED FROM 10 REG QASHQAI 1.5 DCI. Supplied Goods. so you can make a claim. Nissan Navara D40 2.5D Rain Sensor. Qashqai N-Connecta DCI (MK2 PRE-FACELIFT J11) (ABS). Windscreen Rain Sensor. Manual 6 Speed. About MGV Auto Spares Ltd. Our Opening Hours are:-. Engine Size. CASH ON COLLECTION. Vehicle Photographs & Guide. Qashqai Acenta Smart Vision DCI (MK2 PRE-FACELIFT J11) (ABS). Windscreen Rain Sensor. Manual 6 Speed. About MGV Auto Spares Ltd. Our Opening Hours are:-. Engine Size. CASH ON COLLECTION. Vehicle Photographs & Guide. Qashqai Acenta DCI (MK1 Facelift (J10)) (ABS). Windscreen Rain Sensor. Manual 6 Speed. About MGV Auto Spares Ltd. Our Opening Hours are:-. Engine Size. CASH ON COLLECTION. Vehicle Photographs & Guide. NISSAN QASHQAI 2015. REMOVED FROM A NISSAN QASHQAI 2015. WINDSCREEN RAIN AND TEMPERATURE SENSOR. GOOD CONDITION AND WORKING ORDER. AB, BT, HS,JE,KA, KW, PA, IM, IV, ZE. Qashqai N-Tec DCI (MK1 Facelift (J10)) (ABS). Windscreen Rain Sensor. Manual 6 Speed. About MGV Auto Spares Ltd. Our Opening Hours are:-. Engine Size. CASH ON COLLECTION. Vehicle Photographs & Guide. Qashqai DCI Tekna (MK2 (J11)) (ABS). Windscreen Rain Sensor. Manual 6 Speed. About MGV Auto Spares Ltd. Our Opening Hours are:-. Engine Size. CASH ON COLLECTION. Vehicle Photographs & Guide. Qashqai 2 N-Tec DCI (MK1 FACELIFT (J10)) (ABS). Windscreen Rain Sensor. Manual 6 Speed. About MGV Auto Spares Ltd. Our Opening Hours are:-. Engine Size. CASH ON COLLECTION. Vehicle Photographs & Guide. Qashqai Tekna DIG-T (MK2 (J11) Pre-Facelift) (ABS). Windscreen Rain Sensor. Manual 6 Speed. About MGV Auto Spares Ltd. Our Opening Hours are:-. Engine Size. CASH ON COLLECTION. Vehicle Photographs & Guide. Micra SE (MK3 (K12) (ABS). Rain/Wiper Sensor. Manual 5 Speed. About MGV Auto Spares Ltd. Our Opening Hours are:-. CASH ON COLLECTION. Vehicle Photographs & Guide. ). 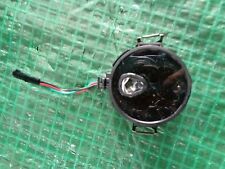 This is a used genuine Nissan Navara / Pathfinderfront windscreen rain sensor which is fully tested prior to removal from the donor vehicle and is in perfect working order. Channel Islands. Isle of Wight. Isle of Man. The Scottish Islands. The Scottish Highland. Northern Island. This was removed from a 2012 1.5 dci diesel Nissan Juke TEKNA 5 door. Model - Juke (Tekna). Engine capacity -1461cc. This was a UK car, standard RHD. Power -106hp / 4,000rpm. MODEL:X TRAIL INTERIOR COLOUR:Black. ENGINE NUMBER:006147. ENGINE SIZE:1995. Nissan Specialist Dismantler. Up to 12 months warranty. Key Features For parts incorrectly supplied or unwanted parts we must be notified within 48 hours. Before Signing. Wheel size. INTERIOR COLOUR:Unknown. ENGINE NUMBER:D047680. ENGINE SIZE:1461. NISSAN NAVARA 2005. WE BUY LATE VEHICLES FOR DISMANTLING. We are open. NISSAN RENAULT. RAIN SENSOR. GENUINE NEW UNUSED PART . 5 DOOR HATCHBACK. RAIN SENSOR. NISSAN LEAF. Engine by NISSAN. We are also not responsible for installation errors, labor expenses, or any other expenses that may occur. Wheel size205/55R16. Paint code. Model: QASHQAI DIESEL HATCHBACK - 1.5 dCi 5dr (5 Seater Not 2). Manufacturer: NISSAN. Year: 2013. Wide range of new and used nissan car parts available at best prices. Quick Links. In the event that a part is supplied and proven to be incorrect or faulty, Nisparts must be notified within 48 hours. EcoChoice-Parts Limited © 2018-2019. EcoChoice Parts are Green Parts also known as "recycled parts" or "used parts" and are manufacturer parts that have been carefully removed from a vehicle during the dismantling and recycling process. Part Number : 28536AV600. Number Of Pin : 4 Condition:USED ( Very Good Condition). 2009 Nissan GT-R Skyline R35 Windscreen Rain Sensor 2009 Nissan GT-R Skyline R35 Windscreen Rain Sensor In Good Used Condition. 2009 Nissan GT-R Skyline R35 Windscreen Rain Sensor In Good Uséd Condition. PART NUMBER 28536 EB30A. GENUINE NISSAN NAVARA D40 2005-2015 RAIN SENSOR. Photos are for actual item. The best way to buy this item is to get the part number from your existing unit. of Pin : 3. Item will be sold as it is shown in the pictures (you will receive exactly what you can see in the pictures). Part No. 28536EB30B. 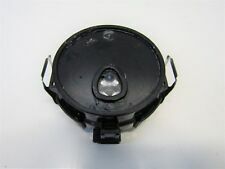 GENUINE 04-10 NISSAN NAVARA RAIN SENSOR. 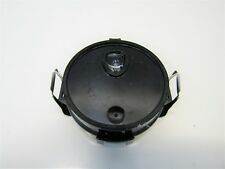 NISSAN QASHQAI MK1 J10 2WD 1.5 DCI 2007 RAIN SENSOR 28536EB30C / 6PW009207-03, AS PICTURED. REMOVED FROM NISSAN QASHQAI TEKNA MK1 J10 2WD 1.5 DCI (1461 cc) DIESEL 5DR ESTATE. COMPATIBLE WITH QASHQAI MODELS FROM 2006-2010 1.5 DCI AND 2010-2013 2.0 DCI IF PART NUMBER MATCHES.